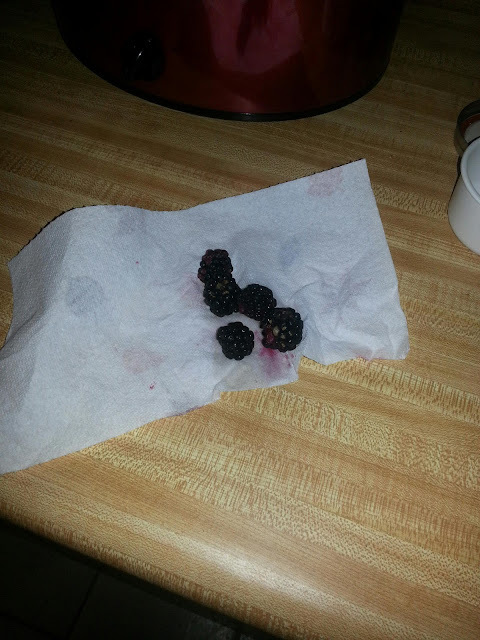 K iowa blackberries are delicious. In year 3, we got 4 pints, easily, off a single bush. Huge, delicious berries. With the rain and overcast weather, not as good as last year, but still very good, and HUGE! Planted with a Natchez thornless, the birds went after the smaller fruiting, thornless one, which was fine by us because the fruit quality on the Natchez was inferior. We also managed to propagate both into new bushes by bending down a good cane and burying it in the raised bed beside the first bush. So, expect more blackberries next year! Kiowa blackberries are amazing and you should totally plant one in the fall!